Prepare yourself for battle! In Tank Melee, your job is to find your way through the ememy bases in your ultra elite battle tank, while doing your best to not die. 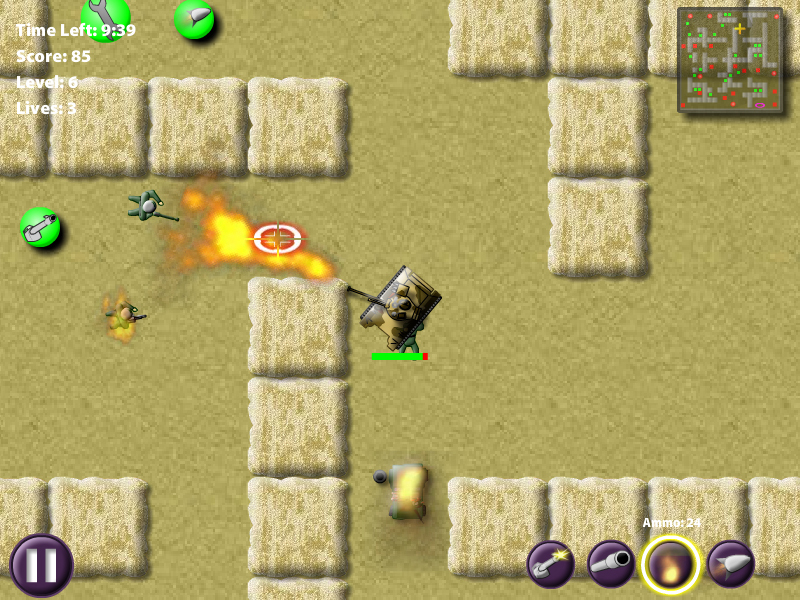 Use your machine guns, cannons, rockets, and flame thrower to fend off the onslaught of enemy attackers, while making your way twords the exit. The enemy will be attacking you from their fortifications, and comming at you with machine guns, grenade launchers, rocket launchers, ATVs and tanks. Fight your way deep into enemy territory, and find your exit before time runs out. 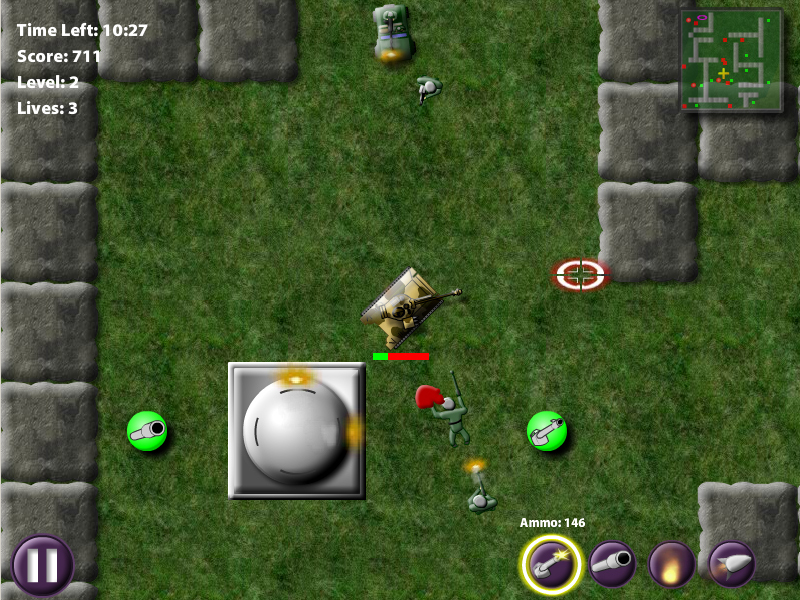 With 20 levels of game play, Tank Melee is fun and fast paced. 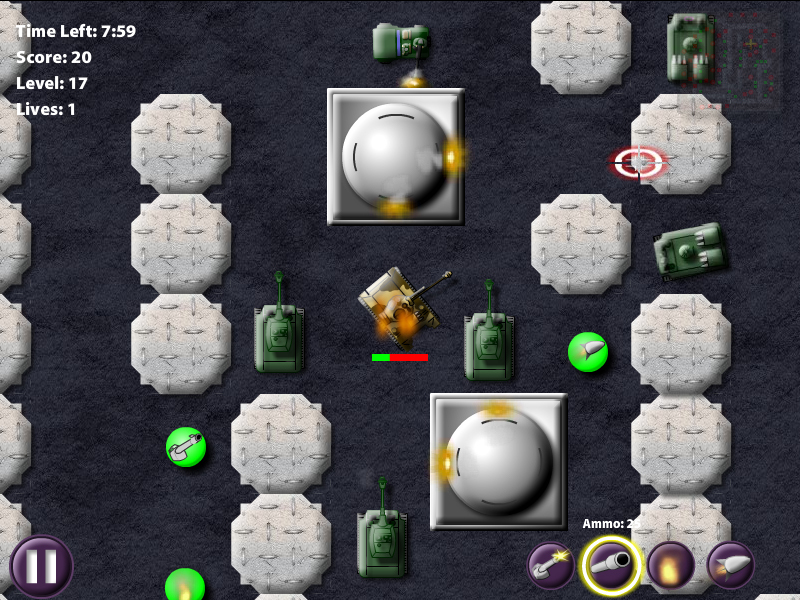 Use the WASD keys to control your tank, and your mouse to aim and fire your cannon. Use your machine guns, cannons, flame thrower, and rockets to destroy your enemies, but make sure to pick up more ammo on the way, or you may run out. Each level has a time limit, so use your mini-map to quickly find your path to the exit, or explode in a ball of flame.